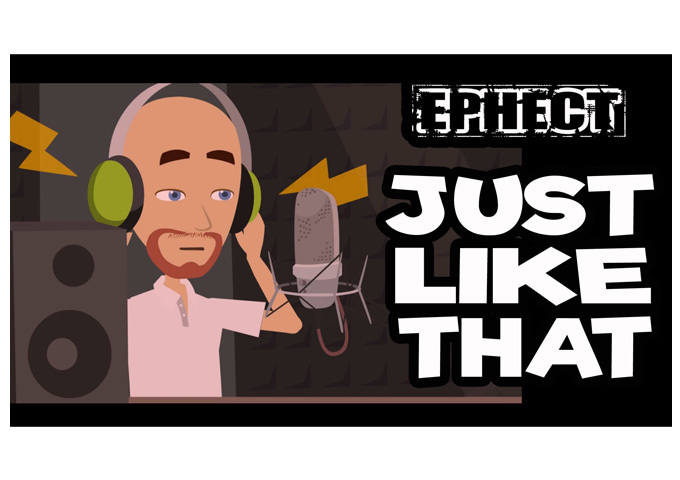 Ephect: “Just Like That” – The future-throwback hybrid you didn’t realize you needed! 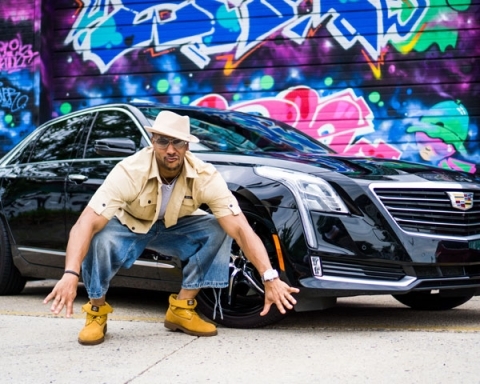 Ephect is an Independent Rap/Hip Recording Artist and Music Producer born, raised and currently located in Indianapolis, Indiana (US). 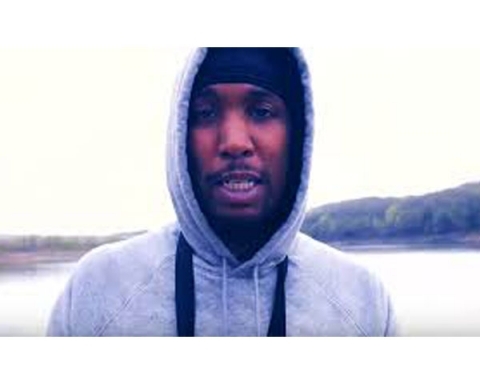 Ephect has released around 20 music, numerous singles, and his latest full length album titled “The Nphection”, which dropped back in September 2018. What makes this album different than other recent releases comes down to, how Ephect works with his producers. He doesn’t just compliment good production, he capitalizes on stunning production. In today’s hip-hop scene, fans tend to shy away from raw rapping talent. Gone are the days when the scene was more focused on how good the flow was and the rest came second. It would seem that now you need some sort of a gimmick to get noticed. This is where Ephect stands out in today’s hip-hop scene; by acknowledging and using new trends, while still bringing forth a style that hearkens back to the 90’s. This is the future-throwback hybrid you didn’t realize you needed. 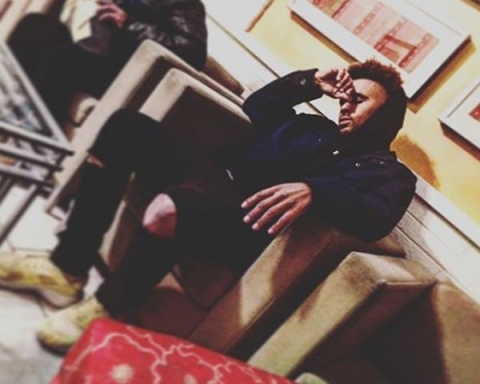 Listening through his album, “The Nphection”, it’s easy to see that Ephect seems to be very focused on making an impression with his rapping. His flow is undeniable, as is his ability to rhyme, never mumbling or stumbling over his words and varying the speed of his delivery whenever necessary. Production on this album is beyond solid, with complex, layered arrangements being at the very core of it all. In fact some tracks even stand out based on the merits of production alone, which is crucial to a good rap album. And while he changes the vibe of the album throughout its run, his style of rapping shows the same variation from track to track. 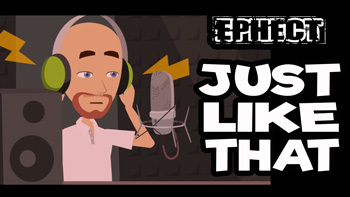 The new single “Just Like That”, Produced by Nick J, brings yet another variation of the Ephect formula. His flow reverts back to his quick paced and rock steady rhyming, as he rides a percussion dominated beat created for the club. The singing and more melodic sensibility maintained in sections of the song is further proof of Ephect’s adaptability. Taking cues from his album, it’s clear that the dude can rap over almost any beat. He knows exactly what flow and cadence to use to make his voice mesh with the beat. You can put him over any instrumentation and he’ll kill the track no matter what style you give him to work with. Hence when he encounters the rolling percussive groove of “Just Like That”, his in his comfort zone. The track flies by all too fast and you can really lose yourself in the rhythm and flow of it all. Ephect doesn’t just depict the party life and the good vibes, he captures it alive and delivers it straight to your ears. To increase the impact, they’ve created a full-blown animated video to bolster the song’s narrative. This keeps the entire project interesting and entertaining, propelling the track to even greater heights. After listening to the album, as well as the latest single, there can be no doubt that Ephect has the flow, the production, and the writing to match most rappers in the game right now. The Recent album from Ephect “The Nphection” is OUT NOW: http://Song.Link/Nphection . Now streaming everywhere! 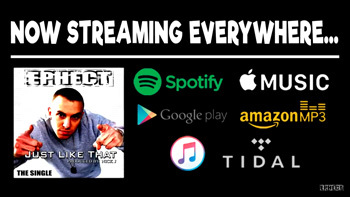 Spotify, AppleMusic, Pandora, GooglePlay, Amazon, iTunes and more.